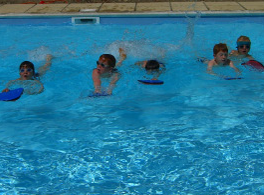 MXT provide a fast track programme to learn to swim, with one-to-one teaching as well as group sessions. At this age children have their lessons structured according to the MXT programme, teaching multi-strokes with emphasis on improving breathing, stroke technique, coordination and stamina. At this stage we teach front crawl, backstroke, dolphin kicks, butterfly, breaststroke, competitive turns, diving skills and in group sessions we include group games such as water polo. All times are flexible during school holidays.